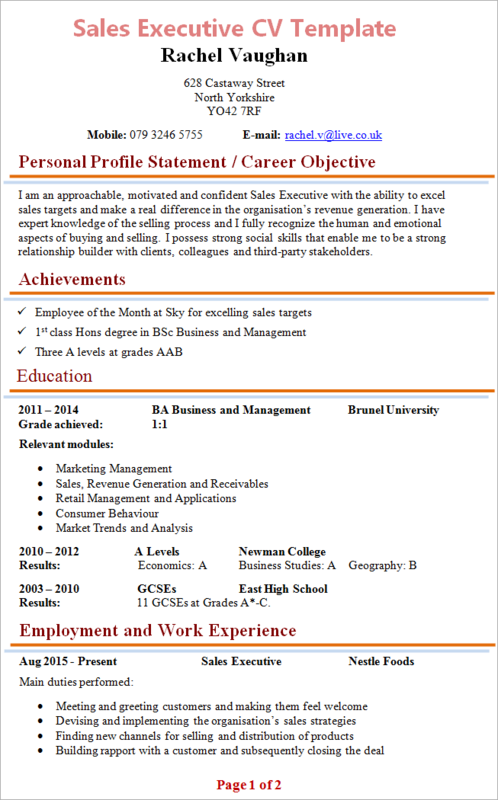 Tip: Use the Sales Executive CV Template below as an example to help you write your own personal and fully-tailored CV. 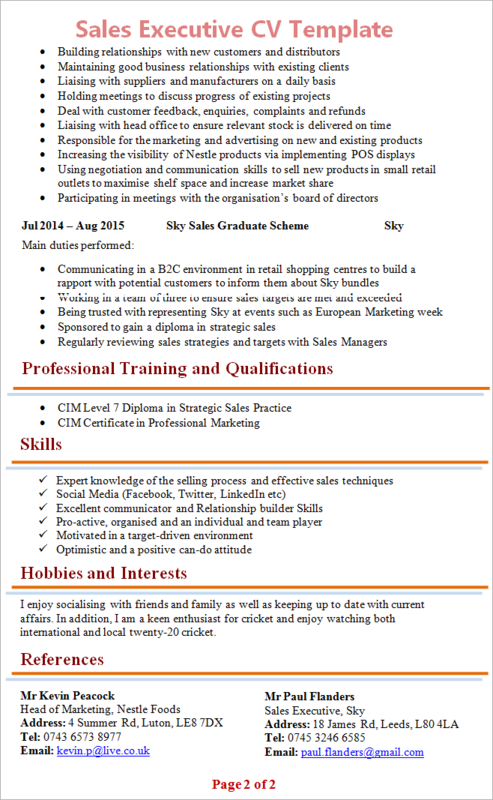 I am an approachable, motivated and confident Sales Executive with the ability to excel sales targets and make a real difference in the organisation’s revenue generation. I have expert knowledge of the selling process and I fully recognise the human and emotional aspects of buying and selling. I possess strong social skills that enable me to be a strong relationship builder with clients, colleagues and third-party stakeholders. I enjoy socialising with friends and family as well as keeping up to date with current affairs. In addition, I am a keen enthusiast for cricket and enjoy watching both international and local twenty-20 cricket.